The City of Madison’s new Race, Equity and Justice Initiative (RESJI) is getting its first test. 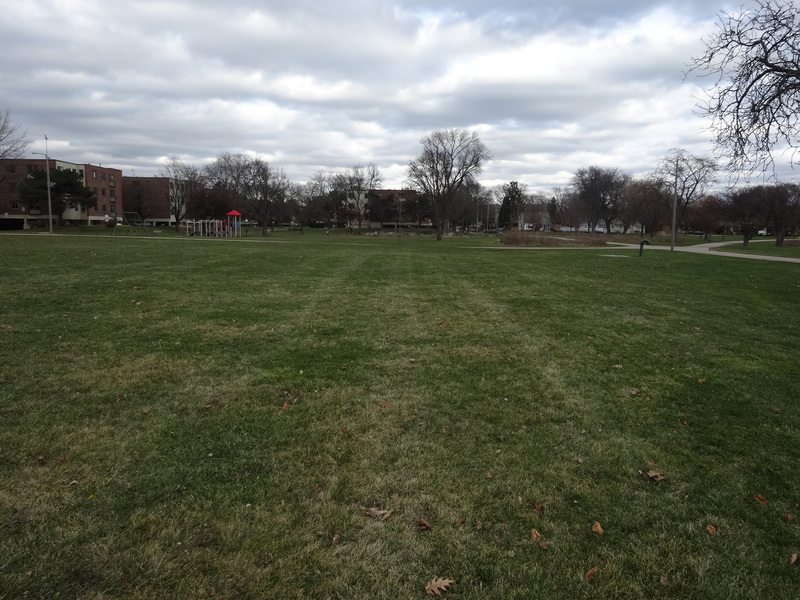 According to Tori Pettaway, Racial Equity Coordinator, the RESJI team finished their report on the Brittingham Park playground renovations on December 9 and will be presenting it to the parks department soon. Pettaway leads a core RESJI team of 40-plus people who support four different action teams – data, communication, community and tools and training. The RESJI initiative was launched in 2013 to eliminate racial and social inequities in municipal government by implementing strategies in three main areas: policies and budgets, operations, and the community. 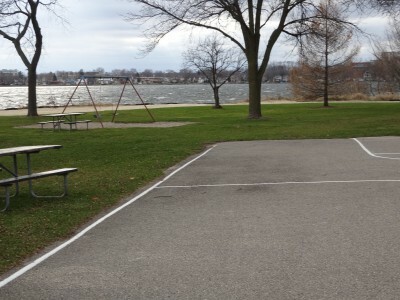 The playground is a popular picnic spot for the Bayview Community. Freedom Inc. Video screen shot. 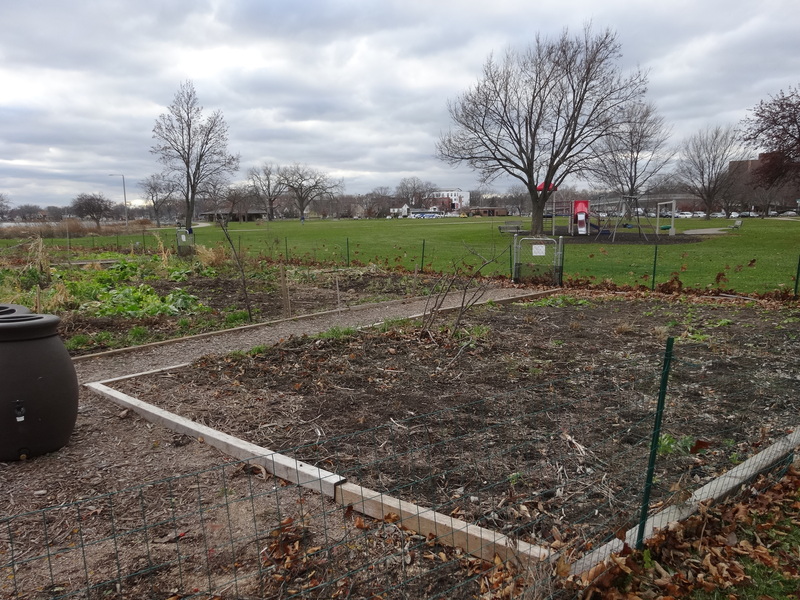 The report is based largely on input from Bayview citizens who were upset when they learned that the popular playground – used primarily by children and families of color – located next to the community garden was slated to be removed and replaced with a natural play area. When Freedom Inc. objected, the project was halted and Pettaway organized the meeting at Bayview Community Center on November 18 to hear their concerns. “The only reason we’re here (at the meeting) is because the city started this (equity) process. Otherwise, we wouldn’t have a playground. They (parks) were going to remove it in November. Because of this process we still have a playground.” Kabzuag Vaj, Freedom Inc.
Janet Schmidt, Manager, Parks Planning and Development Manager, City of Madison, explained how we got to this point. She talked about the Master Plan process and the need to replace two playgrounds at Brittingham Park: one by the garden and one by the boat house. “Both are nearing the end of their lives,” she said. The existing boat house playground consists of one swing set. It is largely used by visitors to the boathouse. The surrounding neighborhood consists largely of single family homes and newly built apartment buildings that cater to young professionals. Under the proposed plan, this site would get a new play structure. The playground and garden near Bayview housing has been in use for decades. It is largely used by people of color, many who live in nearby apartments and Bayview Townhouses. The proposed plan would remove the play structure and replace it with a set of natural land- forms. The Bayview community considers this a downgrade. The new barrier free playground would sit next to the shelter (in the distance on the left), some 100 yards from the existing structure and garden. A set of landforms designed as a natural play area, would replace the existing structure (note red roof). 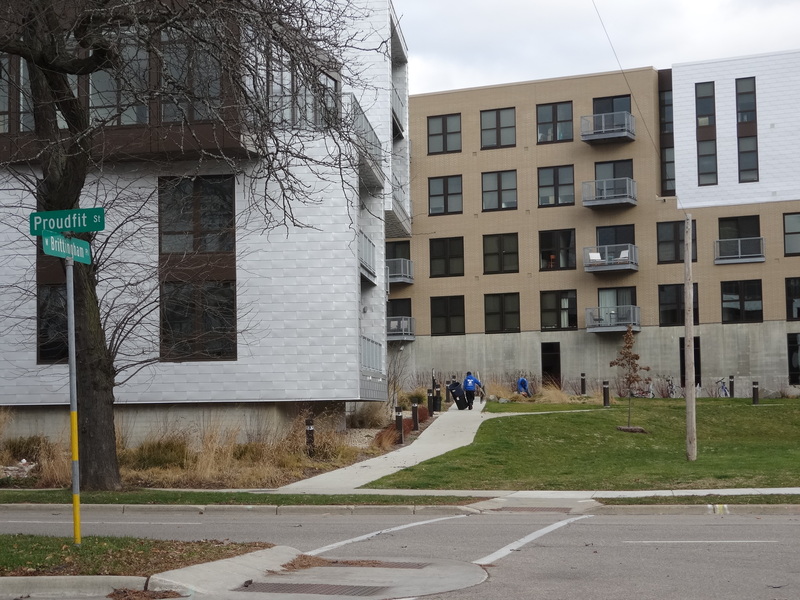 The meeting gathered input on the proposed plans for Brittingham Plans. Plans call for a large barrier free playground near the shelter (left) and a smaller playground to the east by the boat house. The Bayview garden area would receive a natural play area consisting of landforms. City of Madison Parks Department image. Several people at the meeting interrupted Schmidt to remind her that the pubic meetings were not well publicized or attended. Schmidt explained that the shelter site was selected for the new playground over the garden site because of existing parking and because they felt that a large play structure near the gardens would make it harder to enlarge the community gardens in the future. Parking is critical because families with kids in wheel chairs would need to park, she explained. When asked why not have three playgrounds, Schmidt said that parks want to limit the playgrounds to two for maintenance reasons. After the parks presentation, the group split to discuss what the park means to them and why. All groups stated that they love the park and the playground and do not want to see it taken away. A few mentioned that it was racist to put the playgrounds near the white neighborhoods and give the poor neighbors the landforms. It was also noted that there are very few children that live near the boat house, so in terms of sheer numbers, the best place for a playground is nearest to the garden and Bayview. Kabzuag Vaj, Freedom Inc. Freedom Inc. video screen shot. It should also be noted that no one opposed the barrier free playground, they just don’t want to lose what they have in the process. The new playground will be a regional draw and be good for the park, but the group worried that non-residents with means were having more say about the park than poor residents who live nearby. “It’s unfair to spend hundreds of thousands to build new playgrounds for potential-city wide use and downgrade or take away from poor people of color who live across the street…it’s also unfair to create divisiveness (and use) divide and conquer tactics by pinning poor people of color, children and elders against “differently able” communities – as if they aren’t part of this community too. Kabzuag Vaj, Freedom Inc.
A group of Hmong elders and parents spoke, with the assistance of an interpreter. They take their grandchildren and children to the park while they work in the garden. The close proximity of the park makes that possible. Many are disabled. Hmong interpreter assists elder residents at the community meeting. Photo by Zon Moua, Freedom, Inc.
“The new barrier free playground is a good thing, but it is several hundred feet from the garden. This may not seem like much, but it is a long way. The elders do not have good eyesight and they are not going to let small children make the trek.” Kabzuag Vaj, Freedom, Inc. The new playground would sit next to the shelter, some 100 yards from the existing structure and garden. A set of landforms, or natural play area, would replace the existing structure. Elvehjem Elementary School has the city’s first barrier free playground. This playground would be the first barrier free playground located in a City of Madison park. Natural play areas such as the landforms proposed for the park are part of a larger movement to provide alternative play environments in city parks. Plans for the landforms were not available. 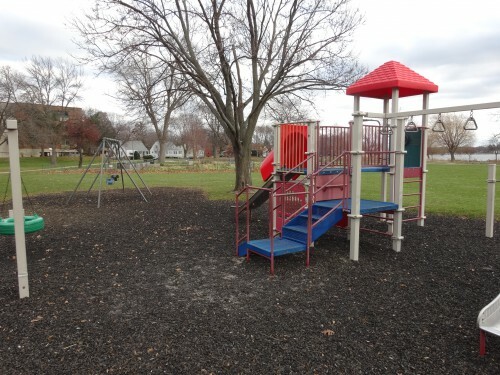 The barrier free playground is being spear-headed by Jason Glozier, Disability Rights and Services Program Coordinator, Department of Civil Rights, City of Madison. The city has budgeted $790,000 for the project, of which $540,000 comes from park impact fees from nearby housing projects. The remainder comes from general borrowing. Half the money will be used to reorient and reconstruct the parking lot next to the shelter. Source, Kay Rutledge, Assistant Parks Superintendent. 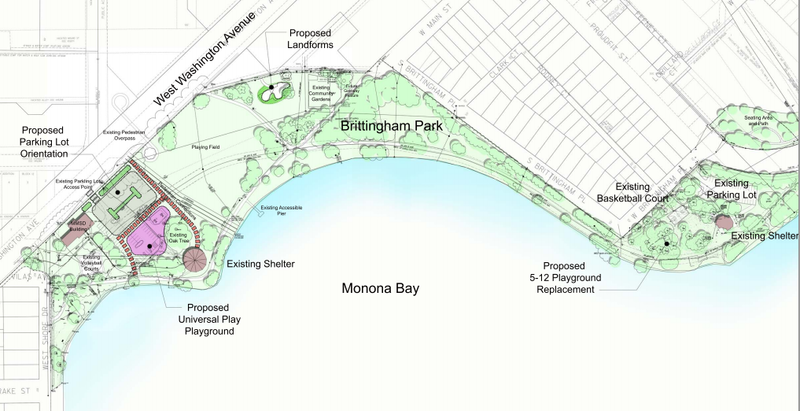 Impact fees from housing – mostly for young professionals – near the Brittingham Park boat house and beach has helped to pay for the improvements to the park. The proposed new playground is more than 100 yards from the existing playground (red roof) and garden. Elders who use the garden will not be able to supervise small children from this distance. This entry was posted in Social Justice and tagged accessible playground, Bayview, bayview community center, brittingham park, city of madison, Department of Civil Rights, don't take our playground, equity and social justice, Janet Schmidt, Jason Glozier, race, Torianna Pettaway by Get Kids Outside. Bookmark the permalink.